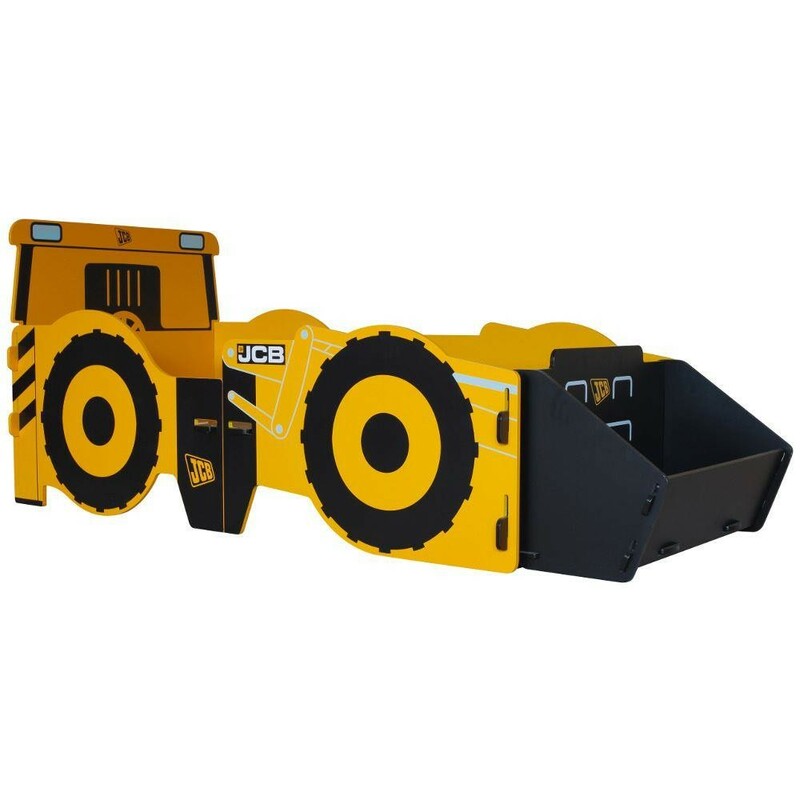 A slightly more realistic interpretation of the 4CX digger from the JCB collection, the JCB 4 CX Single Bed offers children a larger themed bed than the more cartoonish toddler bed, the JCB Junior Bed. Like this smaller bed, the JCB 4 CX Single Bed provides a charming way to provide kids with a comfortable night's sleeper. The JCB 4 CX Single Bed doesn't just serve as a sturdy single bed but a fantastic means of storing the kid's toys, all whilst keeping the decor in theme. Adhering to the same style as the rest of the JCB collection, the JCB 4 CX Single Bed's design showcases a JCB digger's scoop at the foot of the bed, which is large enough to comfortably host an array of toys. Whether your child is dreaming of the days when they can drive their own JCB or their room is simply in need of some extra personality, the JCB 4 CX Single Bed serves as a vivid addition to the bedroom that's fantastic in both form and function. As previously mentioned, the JCB 4 CX Single Bed is a more 'grown up' JCB based bed than the delightful 'Joey JCB' themed bed. Along with everything else within the JCB collection, the JCB 4 CX Single Bed has been designed to be durable for as many years as it may be needed, and is easy to assemble thanks to its jigsaw style design. Simply slot each piece together and the JCB 4 CX Single Bed will be ready to accommodate your budding builder in no time. The JCB Yellow Digger Bed is part of the JCB Yellow Children's Wooden Bedroom Furniture Collection.